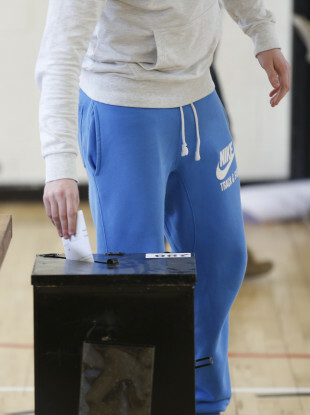 The National Youth Council of Ireland says new figures represent an “unprecedented surge of voter registration”. UP TO 125,000 people have registered to vote ahead of this week’s referendum on the Eighth Amendment. The National Youth Council of Ireland (NYCI) – which represents organisations working with over 380,000 young people nationwide – has described the situation as an “unprecedented surge of voter registration”. The returns received by NYCI from 14 city and county councils (both urban and rural) to date, if replicated in all 31 city and county councils, would indicate that up to 125,000 people were added to the supplementary electoral register between February and the recent deadline of 8 May. In May 2015, 65,911 voters were added to the supplementary register in advance of the marriage equality referendum, following an intensive voter registration campaign. To date, the returns from 14 of the 31 councils indicate that 56,961 voters have been added to the supplementary register this year. This indicates a potential 90% increase of people being added to this register compared to 2015, the NYCI said. James Doorley, NYCI Deputy Director, said the number of people registering to vote is up by more than 100%, when compared to three years ago, in areas such as Meath (123%), Kerry, (112%), south Dublin (103%) and Westmeath (103%). A large increase has also been recorded in Galway, (97%) Tipperary, (92%) and Kilkenny (86%). “The lowest percentage increases to date are from Dublin and Cork cities, with an increase of 38% and 37% respectively, but this still represents in Dublin city alone an increase of over 5,400 voters compared to those included in the supplementary register in 2015 (19,805 in 2018, compared to 14,362 in 2015). “Leitrim stands out as a result of an 213% increase in voters included in the supplementary register, with 670 additional voters in 2018 compared to 214 in 2015,” Doorley said. In recent weeks concerns had been raised about the tens of thousands of young people (aged 18-29) who were not registered to vote. Doorley said it’s “really heartening that so many young people responded” to the call to register to vote, following an appeal by the NYCI, students’ unions and youth organisations across the country. However, he stressed that the figures are preliminary. It is important to note that not all those added to this latest supplement to the register are young voters. Doorley said the NYCI is “confident that this extraordinary level of youth voter registration will be matched by a high level of youth voter turnout”. On Friday people will have the chance to vote on whether or not the Eighth Amendment, which gives equal constitutional status to the mother and the unborn, should be repealed. You can read about the legislation that is likely to be enacted, if the Eighth is repealed, here. Email “Up to 125,000 people register to vote ahead of Eighth Amendment referendum ”. Feedback on “Up to 125,000 people register to vote ahead of Eighth Amendment referendum ”.